Chicago-based Studio Gang and exhibition designer Ralph Appelbaum unveiled their latest designs for the new Richard Gilder Center for Science, Education, and Innovation. 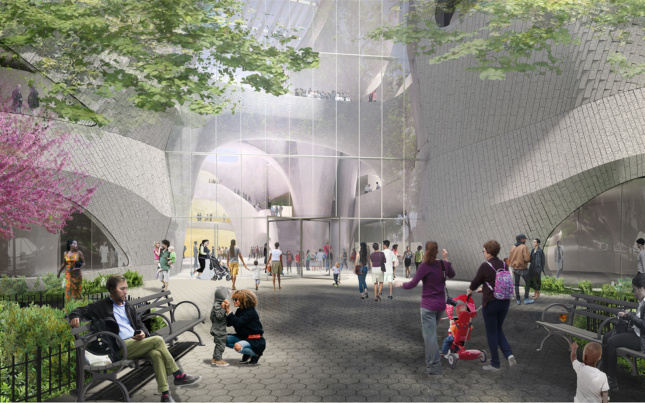 Focusing on the museum's interior spaces, Gang and Appelbaum shared plans for the new Insectarium, Butterfly Vivarium, Invisible World's Immersive Theater, and newly revealed Collection Core. This morning, architect Jeanne Gang of Chicago-based Studio Gang and exhibition designer Ralph Appelbaum unveiled their latest designs for the new Richard Gilder Center for Science, Education, and Innovation. 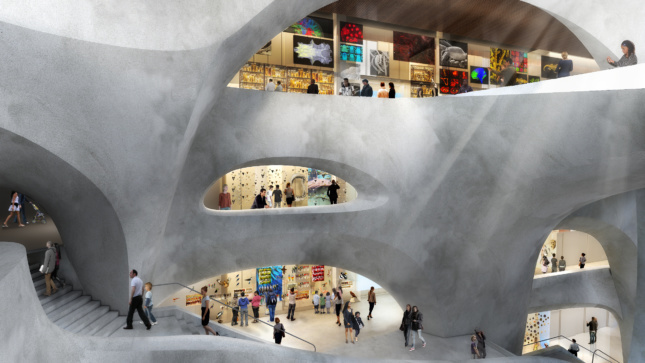 Focusing on the museum’s interior spaces, Gang and Appelbaum shared plans for the new Insectarium, Butterfly Vivarium, Invisible World’s Immersive Theater, and newly revealed Collection Core. 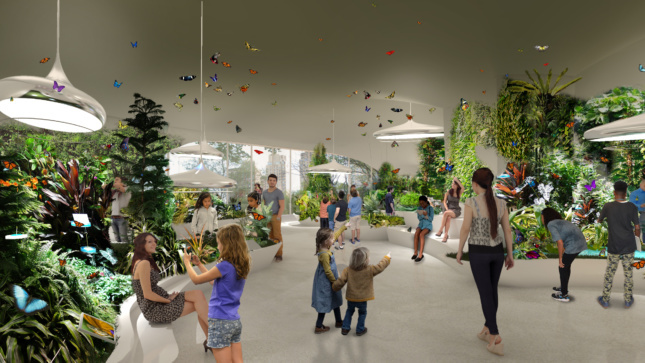 In the Insectarium, the first museum gallery dedicated to insects in more than 50 years, and the new permanent Butterfly Vivarium, a combination of live species and interactive, high-tech exhibits will help educate the 5 million people who come through the museum each year. 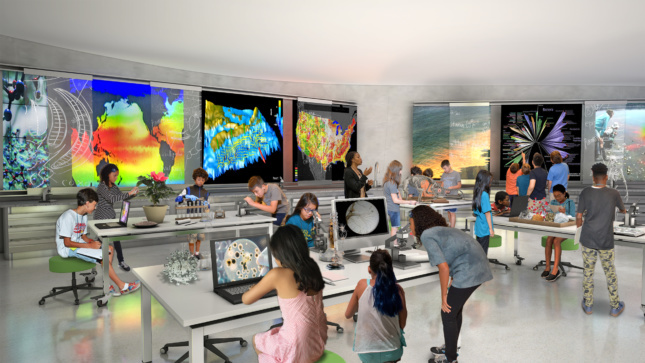 In addition to the new education facilities, which will include learning labs, classrooms, and age-specific zones, the 9.520-square-foot Invisible Worlds theater will recreate authentic science visualizations to illustrate organisms and processes that are too small, too fast, or too distant for humans to perceive in real life. Additionally, the project is on track to receive LEED Gold with natural lighting and heat and water saving strategies. “The verticality of the space is the key sustainability feature because it’s providing natural light deep into the museum and we can also use the verticality to create displacement ventilation so that the natural stack effect can occur,” Gang said.